She likes being petted & held, and will vogue for photos. In the summer of ’06 at the Pepsi “Tall Ships” exhibit she was held by over 2,000 people in the span of 2 days. Jax would be happy to pose with you and your guests at your party, and may even do a magic trick for you! 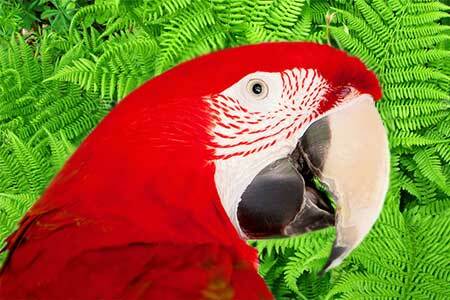 Living in Raleigh, North Carolina is Big Red Jax the Gentle Giant – a Jumbo Greenwing Macaw! That is over around 40 inches long with a similar wingspan (untrimmed). She was hatched on June 9th, 2000. If you notice the lower mandible of her beak changes from light yellow to black with age. KC (Captain Kid) is currently trick training her to do stunts like bicycle riding on her super-mini bike, and playing basketball. Greenwing parrots are extremely intelligent, comparable to a 4-year-old human, and take lots of attention and a HUGE cage with lots of toys. Parrots are as emotionally developed as a 2-year-old, and Jax can expect to live at least 70 years – a BIG commitment! Greenwings are native to Central and South America and are at home in the dwindling rain forest. Jax eats fruit, vegetables, grains and meat, as well as a specially formulated pelleted diet. She often eats better than we do, and always cleans up our leftovers. Due to poor socialization, housing or feeding – or a combination of these, many parrots are overly loud, scruffy, and bite. KC (Captain Kid) and his wife Sheree have spent and continue to spend a lot of time researching the best ways to keep parrots. 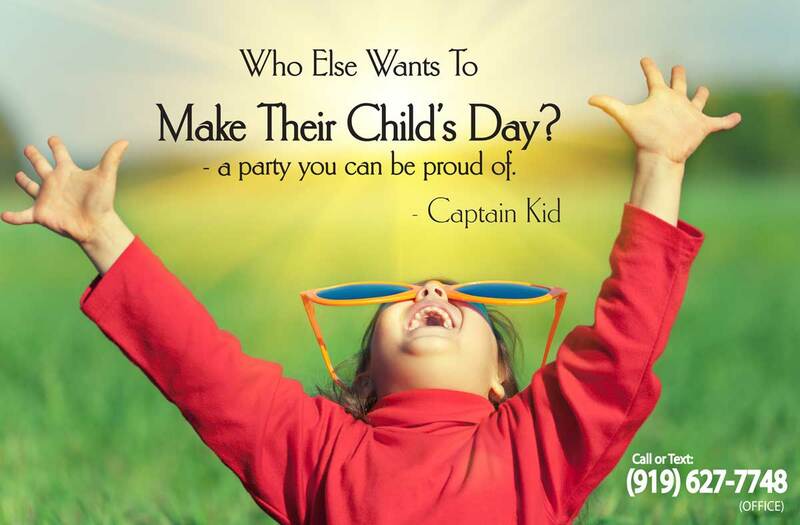 We spend at least one hour one-on-one with Jax every day – more than many parents spend with their children! 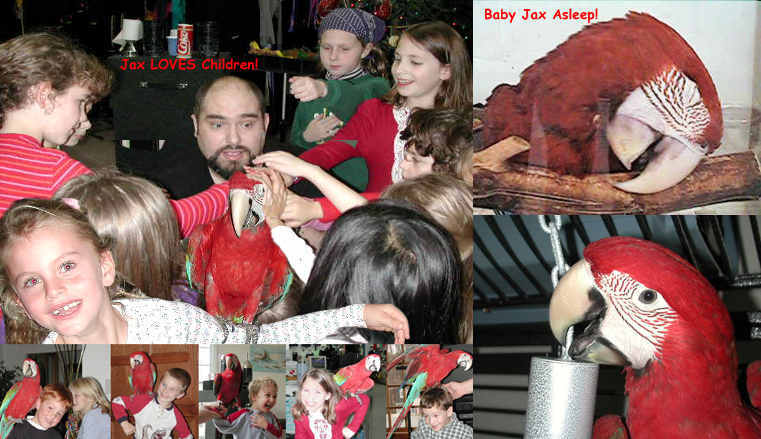 Jax is one of our parrot children. We also own an Umbrella Cockatoo called Kyla. While Kyla no longer performs in public, she does delight us with her antics and is as time consuming as Jax. We love them all.